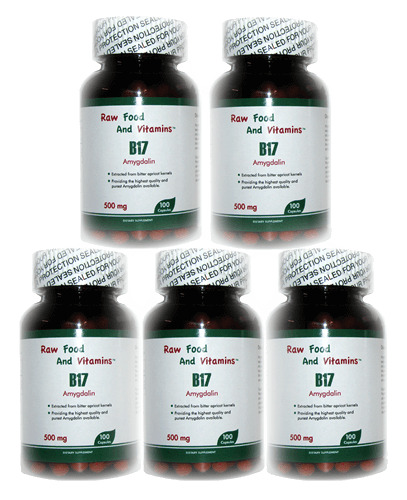 Amygdalin, also known as B17 is extracted and put into capsule form. Our supplement is not just mere ground up apricot kernels, but the actual Amygdalin substance which is over 98% pure. Our Amygdalin supplement is extracted from bitter raw apricot kernels. 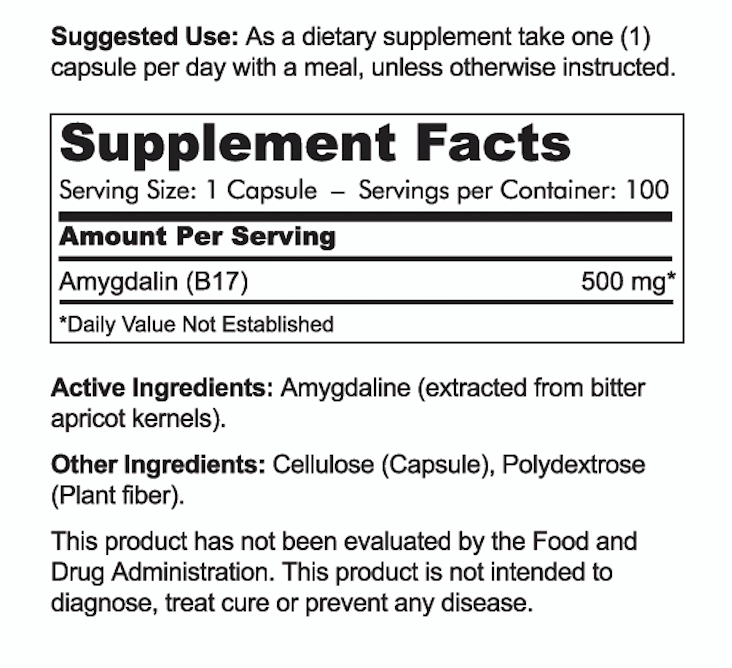 As a dietary supplement take one (1) capsule per day with a meal, unless otherwise instructed Active Ingredients: 500 mg per capsule of purified Amygdalin extracted from bitter apricot kernel. Cellulose (Capsule), Polydextrose (Plant fiber).